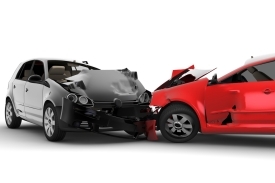 There are many different cases of auto accidents, as you probably know by now. The thing is, not all auto accidents are the result of driver error or other motorists. In fact, some auto accidents are caused by issues with the vehicle's design or the auto parts of the vehicle. A personal injury attorney can help you hold negligent parties responsible, and this applies to other drivers as well as the manufacturers of automobiles and auto parts. We'd like to take a moment right now to consider these kinds of accidents and why legal counsel in such matters is so crucial for you and your loved ones. The phrase "defective auto parts" refers to various issues that involve various components of a vehicle. When a part of a vehicle is flawed, this can cause major malfunctions of the vehicle, contributing to collisions and serious accidents. In addition to poorly made or poorly designed auto parts, the vehicle itself may be dangerous. Poor design of the vehicle, shoddy workmanship/manufacturing practices, unsafe materials, and other matters may play a part in such cases. One example to consider is top heavy vehicles. Because of the poor center of gravity of such vehicles, rollover accidents are more likely, and these kinds of accidents can be quite serious. Another example involves the design of the roofs of vehicles if they are involved in an auto accident. Sometimes the roof may crush or collapse, which can lead to serious injuries and, in many cases, death for drivers and passengers. Whether it's an automobile manufacturer or a company responsible for making parts, they have an obligation to consumers to create products that are reasonably safe. When a company creates products that are harmful, they need to be taken to task for such actions so prevent such negligence from happening again in the future. In essence, by holding auto companies responsible for their actions, vehicles themselves are made safer in the future which means that the roads we share are made safer in the process. Many auto companies and parts manufacturers have large legal teams who will fight every step of the way. Rather than go it alone, you need skilled lawyers on your side who will fight for you. A car accident attorney who has experience dealing with defective parts and major design flaws will not be intimidated by auto companies and their legal teams. Our firm will fight diligently to ensure that you are compensated for injuries and losses and that actual reform takes place. If you would like to learn more about your legal options following a serious injury accident, it's important that you contact our San Diego personal injury law firm today. The team at our firm looks forward to meeting you in person and helping you make wise decisions with regard to all of your legal options.